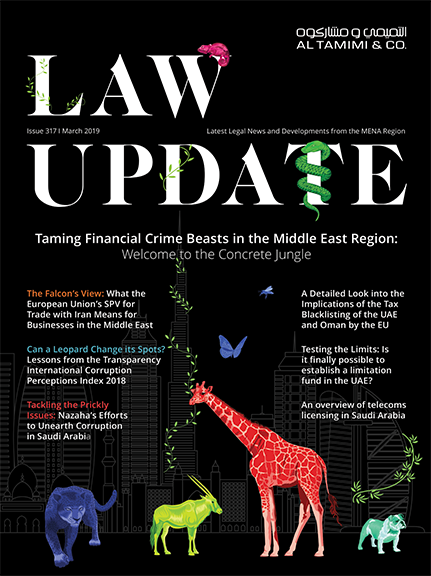 Al Tamimi & Company has learnt that fraudulent emails referencing the firm and the firm’s lawyers are being distributed with documents attached that are purported to be created by our firm. The emails are inviting recipients to engage in fictitious investment schemes for purposes of defrauding the recipient. Al Tamimi and Company has no involvement with these emails or any attached documentation. We strongly urge members of the public to act cautiously for their own protection. Please do not reply or proceed with any such emails without first checking with our firm as to whether the emails are genuinely related to Al Tamimi & Company. Please note also that our email addresses always end with @tamimi.com and we would never send emails from generic email accounts, such as Yahoo, Gmail, Hotmail, etc.